January 12, 2018 Update: New indictments have been handed down. 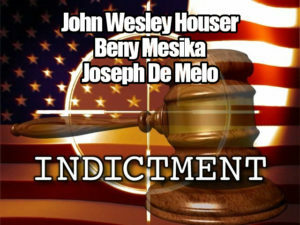 John Wesley Houser and Beny Mesika, founders of Duracap Labs, were recently indicted by a federal grand jury on several counts relating to the sales and distribution of illegal steroids. On June 21, 2016, a Federal Grand Jury in Georgia issued an indictment against Beny Mesika and John Wesley Houser IV, the founders and co-owners of Duracap Labs, a popular supplement contract manufacturer. Joseph De Melo was also charged with one count. Click here to download the grand jury indictment (PDF). The indictment focuses on the brand ANS (Adrenaline Nutrition Supplements — not Canadian-based ANS Performance!!! 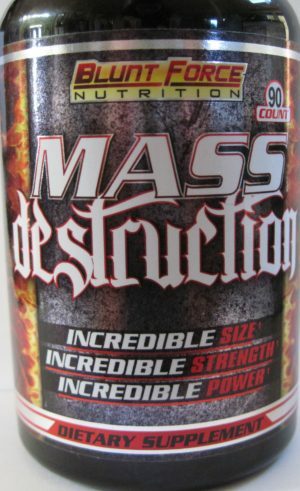 ), which manufactured products named “Mass Destruction” for Blunt Force Nutrition and Mutant Plexx for AMF, otherwise known as Alpha Male Formulations. These two products were both found to contain Methasterone, a Schedule III Controlled Substance also known as Superdrol, despite the ingredient not being listed on either of those products’ labels. 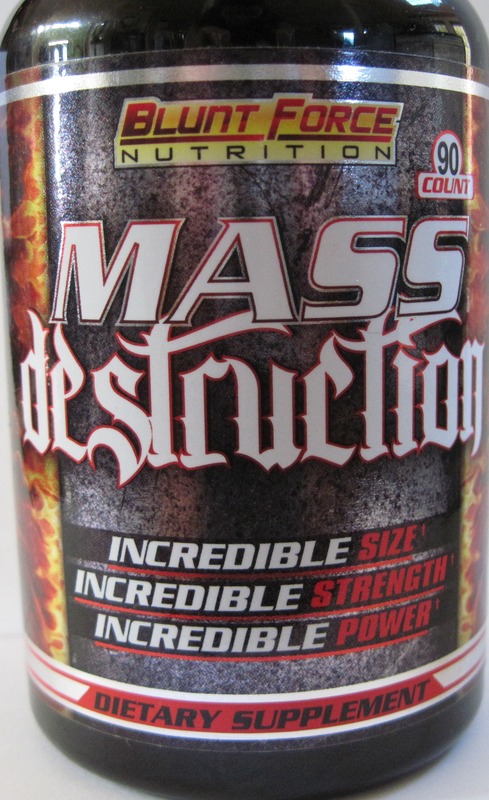 Mass Destruction was already known to contain “one synthetic anabolic steroid and has been linked to at least one reported serious illness”, per a 2013 FDA consumer warning letter. Now we know that ingredient was Superdrol, and upon discovering this, the FDA likely handed the case to the DEA, where the investigation really unfolded. What’s interesting about this case is that the three men were indicted as individuals — the companies connected were not charged. In the criminal world, that means it’s serious – they cannot hide behind the corporate veil of a limited liability corporation or S-corporation. The justice system is going after the individuals this time, and as such this usually ends in lengthy prison sentences or major plea negotiations resulting in the Defendants “collaborating with” law enforcement to ensare more people and develop more cases. Did it start with De Melo’s imprisonment in 2015? This isn’t the first time Joseph De Melo has been charged, either. On January 27, 2015, the Department of Justice ordered him to forfeit $650,000 for distributing anabolic steroids as supplements. On May 1, 2015, he was sentenced to federal prison for 15 months. Who are Mesika and Houser? How does this connect to Duracap Labs? The company ANS and these two products seem like small fries, so what’s the big deal here? The answer comes when you research the other things Mesika and Houser were into. Earlier in November of 2015, Hi-Tech Pharmaceuticals filed a lawsuit against ANS, Duracap Labs, Ben Mesika, and Wesley Houser for allegedly violating the DHEA patents Hi-Tech gained legal control of when purchasing LG Sciences. In that suit, Hi-Tech’s legal team names Houser and Mesika as co-owners of both ANS and DuraCap Labs. Click here to download the Hi-Tech Lawsuit (PDF). On top of those DHEA allegations, Hi-Tech also named the defendants as creators of SARMs – and if those allegations are true, then you can guess where this is heading with the DEA. Similarly, Nutrition Distribution also filed a lawsuit for unfair competition due to their alleged SARM sales, stating that Duracap “manufactures illicit products to multiple distributors”. This complaint ties in some of their sister companies that allegedly promote and distribute such substances. While this suit names Houser and some others, it does not specifically name Mesika or De Melo. 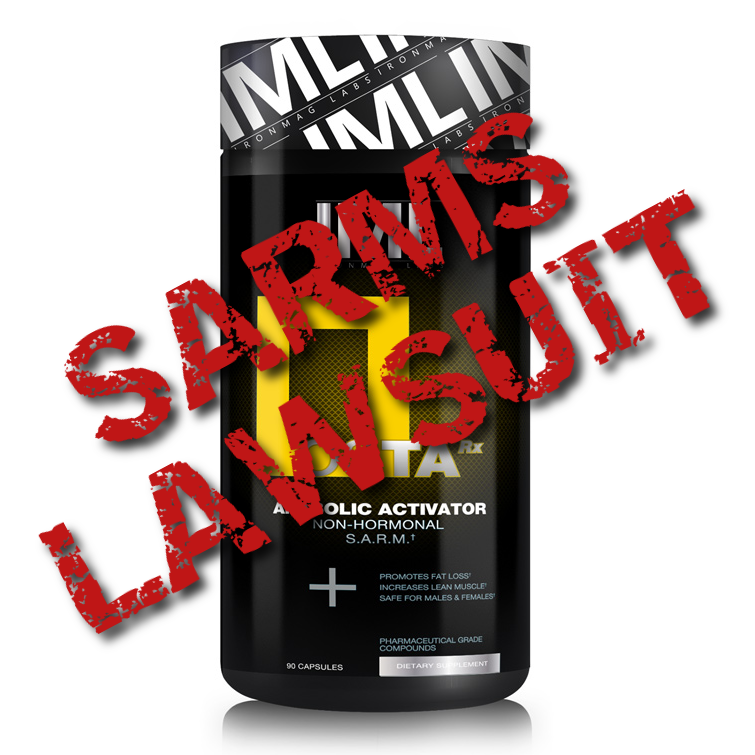 You can click here to read the Nutrition Distribution lawsuit against Duracap Labs. Regardless of the outcomes of those suits, their filings provide us with a strong connection between Houser and Mesika to Duracap Labs. It’s an open secret that Duracap Labs had been producing a substantial portion of the SARMs illegally sold in the dietary supplement market for a variety of other companies and brands. SARMs are not supplements, but are investigational prescription drugs with global intellectual property claims and patents assigned to several multinational pharmaceutical companies like Merck. So when the DEA raided Duracap Labs / ANS with search warrants for Superdrol, you can only guess what else they may have found when digging through their equipment, computers, and other records. if the Defendants will testify against other companies and individuals involved in potentially illegal activities in exchange for a reduced sentence (assuming they are guilty). Remember that everyone is presumed innocent until convicted by a jury of their peers. This is likely the genesis of the massive shitstorm that most industry insiders knew would eventually come – and it’s finally here. More dominoes are almost guaranteed to fall – we’re just not sure how many or how fast. What else does Duracap Labs make? Unfortunately, there’s no way of knowing everything. We’ve blogged about a few pre workout supplements and fat burners with Orchilean, a questionable ingredient that’s nearly always illegally labeled, since it never states what it’s really standardized for. 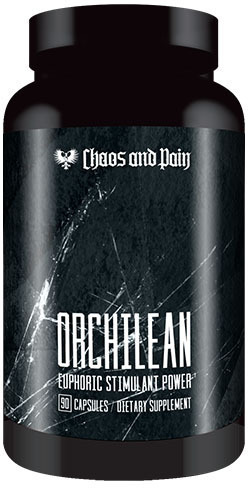 Orchilean has been marketed as “3X the strength of DMAA“, although we don’t believe that for a second, since we could never find anything even remotely stimulatory in studies behind orchid cymbidium goeringii, the plant it’s supposedly extracted from. This doesn’t mean Orchilean-based products were also manufactured alongside ANS’ Superdrol products at Duracap Labs. It’s just the closest connection we could find. Here’s a labeling law we’d love to see enacted: all product labels should state where the product was manufactured, and by what company. And not just for supplements, but also for food. Reason being, we have no real way of knowing what else Duracap Labs made. This was a facility that apparently handled dangerous and illegal substances, and there is some likelihood that other supplements they manufactured are tainted with such substances. With so many supplements made in contract manufacturing labs (and not by the actual supplement brands), customers deserve to know where their products are really produced, capped, and bottled. This is especially true for those of us who are drug-tested. We’re not always for more regulation — normally we just want more enforcement of the current regulations — but this would be a consumer-friendly labeling law we’d get behind. If we were to bet on it, we’d wager that these companies and their owners/employees should expect a visit from some federal law enforcement agency. This doesn’t mean they’re going to be targets of an investigation per se, they may just end up as witnesses against the Duracap Labs team. Down the rabbit hole we go… remember arecoline? Also note that Duracap Labs was possibly behind the arecoline crisis, where some brands used this highly-carcinogenic nicotine-like ingredient in their fat burners and pre workouts while promoting them with celebrity athletes like Kai Greene and Dana Linn Bailey. While arecoline is probably “DSHEA-compliant”, we considered it a high-risk ingredient, best suited to the underground — not to be marketed with celebrities. Ultimately, our research at this time still doesn’t give us much insight into the possible production of SARMs and steroids created for other brands, small mom-and-pop supplement shops, and/or research chemical sites. We also don’t know if Superdrol or other steroids were spiked in other products they manufactured, so we always must urge caution when buying supplements. Further, there’s nothing noted in the indictments regarding how Houser and Mesika could have obtained the raw materials to allegedly make these illegal items, and if there were more federal laws violated regarding the illegal importation of such chemicals. 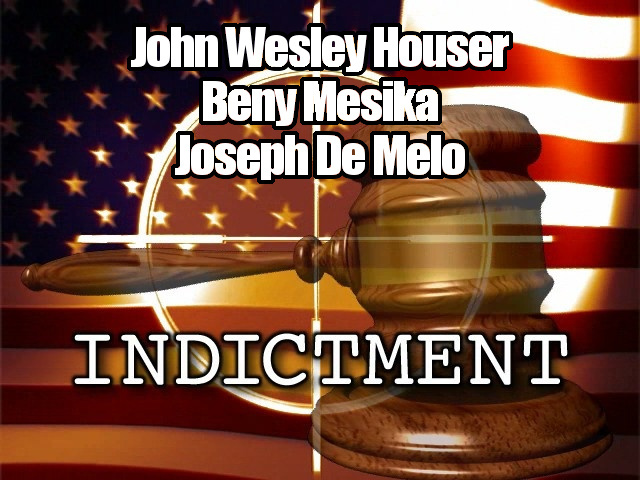 The point is, this case likely goes much deeper than just Superdrol, but it may take years to unfold and there may be more indictments for other crimes against Houser, Mesika, and De Melo. Curiously, the Grand Jury indictment mentions several times that the Defendants were aided and abetted by “others known to the Grand Jury”, but they are not named, at least as of now. Ominous, to say the least, for anyone near this situation! How Much Potential Jail Time? So if they are convicted in federal court, how much time are the Defendants looking at in federal prison? 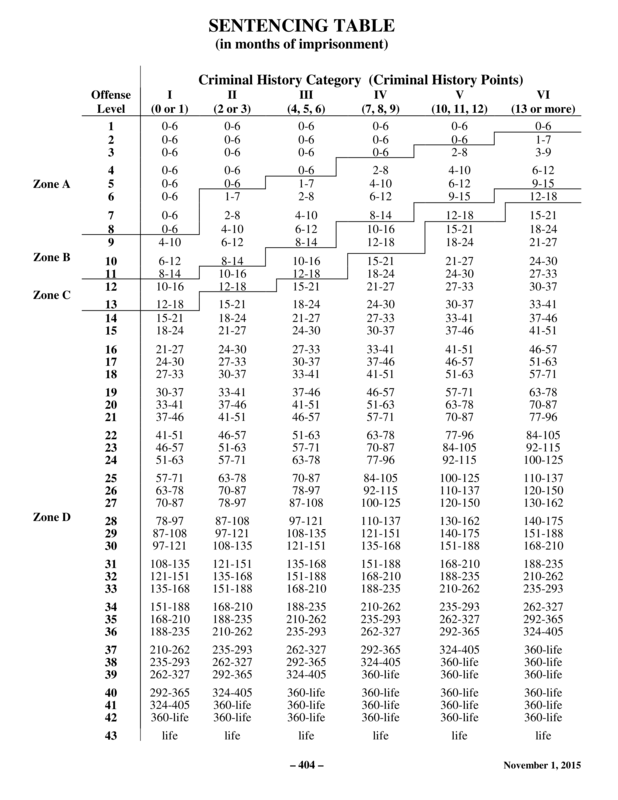 For starters, based solely and only on the indictments as they stand right now, they are likely looking at Level 26 prison time (the indictment notes “serious bodily injury and death”) with a +2 Level increase for this being an anabolic steroid case. This could make it a Level 28 mandatory time under Title 21 USC Sections 841(a)(1) and 841(b)(1)(E) (see ussc.gov/guidelines/2015-guidelines-manual/2015-chapter-2-d and ussc.gov/sites/default/files/pdf/guidelines-manual/2015/Sentencing_Table.pdf), which theoretically puts the mandatory minimum for this at 78 months! So these guys are potentially looking at a minimum of 6+ years in prison assuming there are no mitigating factors or charges dropped. And that doesn’t even include the indictments covering Money Laundering and Introducing Misbranded Drugs Into Interstate Commerce — for those, 78 months is the minimum! 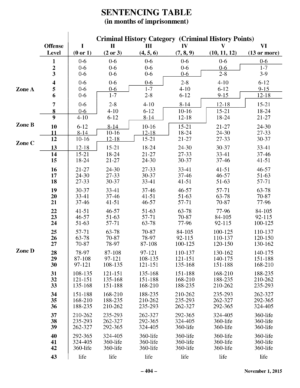 The top number for a Level 28 conviction is a whopping 97 months (more than 8 years). With that kind of jail time on the line, do you think they’ll be cooperating? Ultimately, the indictment of these three men seems small on the surface, but will have enormous implications throughout our niche of the industry. The chickens have officially come home to roost. Editor’s Note: It’s been brought to our attention that several brands that were previously listed on this document had ceased business with Duracap Labs long before this indictment. 4 Comments | Posted in Scams, Supplement Industry News, Supplement News | Tagged Alpha Male Formulations, Amperall, ANS, Beny Mesika, Blackstone Labs, Blunt Force Nutrition, Chaos and Pain, Cymbidium Goeringii, Duracap Labs, Dynamic Formulas, Gen One Labs, John A Horn, John Wesley Houser, Lunamax, Methasterone, Nuphedra, Orchilean, Silverback Nutrition, Superdrol.